"Warning: The following program contains scenes of graphic stupidity among four lifelong friends who compete to embarrass each other." and has to suffer the end of show punishment. 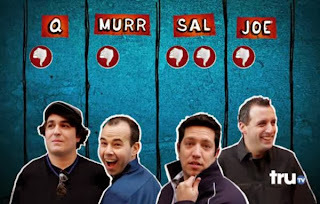 That's the cautionary note that precedes every episode of Impractical Jokers and at its most basic level that's what the show is all about; four friends trying to embarrass each other. What the warning doesn't mention though, is just how funny Impractical Jokers is. 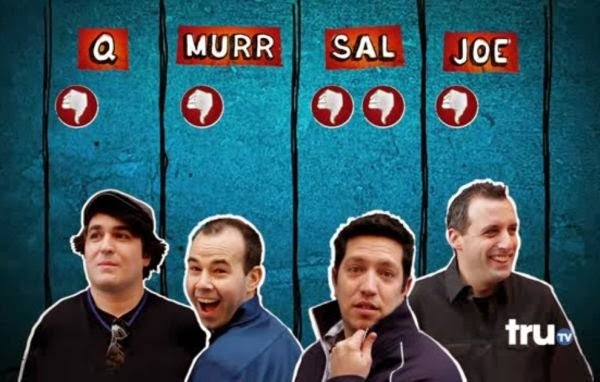 I got into Impractical Jokers more and more as the first season progressed and I think it definitely helps the humour once you get to know the personalities of the four jokers. Once I was hooked, some of the episodes had me absolutely crying my eyes out with laughter and in fact on one occasion I was literally laughing so much that I had a sore throat. "Everyone but the most hard-hearted of viewers will enjoy Spacebound." Spacebound is a touching animated short movie which tells the story of an astronaut and his cute space dog who are stranded in space with their oxygen supplies running dangerously low. The movie reveals how the dude and his dog spend their last few minutes and in a way Spacebound is basically an animated version of the saying, "Stop and smell the flowers." Time Of Exploration: Its simplicity makes it instantly appealing. Time Of Exploration: A game of statistics. Time Of Exploration by Androdan Games certainly won't be for everyone's tastes, but for a spell when I first began playing it I found myself constantly and eagerly checking at regular intervals throughout the day to see how my settlement was getting on. The game follows a simple format; your buildings produce resources which you can then use to construct additional buildings, and as the production of resources accrues in real time, it therefore makes Time Of Exploration the perfect game to dip in and out of for a brief spell a few times each day. The object of Time Of Exploration is to expand your settlement, and in this modern day of flashy graphics and all action gameplay it's perhaps hard to explain just why I found it so addictive. 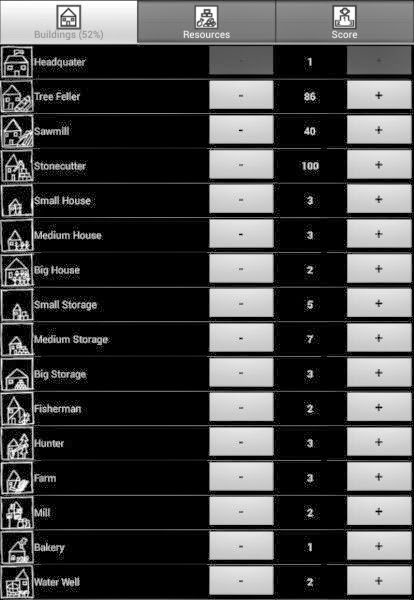 If you were to show someone a few screenshots of the game, they might perhaps be puzzled as to how a few menus full of statistics (which is all Time Of Exploration basically is) could combine to produce such an addictive game. 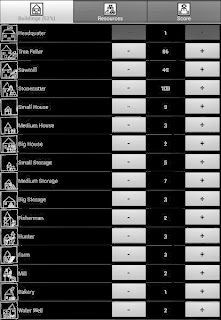 However, despite the games basic nature, there's nevertheless something strangely satisfying about unlocking new building options and watching your settlement develop. The first time I discovered Mum was when another Icelandic band, Sigur Ros, posted a link with a glowing recommendation on their facebook page. As a big Sigur Ros fan, I was immediately intrigued, and after checking out the link I was instantly hooked. 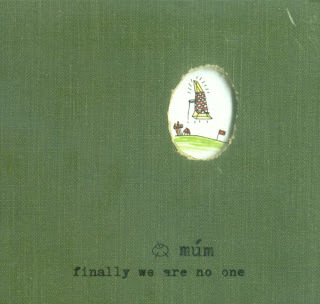 In some ways Mum remind me of Sigur Ros, as both bands are experts at creating beautifully atmospheric and emotional music. Finally We Are No-One was the first album by Mum I listened to and right from the first listen it was an album which had me excited to have belatedly discovered such a cool and creative band. The whole album is hauntingly beautiful and after a stressful day at work it's the perfect album to put on to help you switch off from the stresses of the world and drift off into a calming inner peace. The Li'l Depressed Boy: "A comic with a lot of charm." 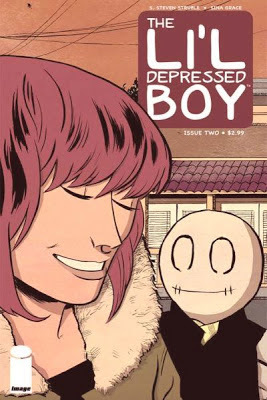 When I first discovered The Li’l Depressed Boy, I was immediately curious about the title, but at the same time it was a title which also almost put me off reading it. I wondered if maybe this was a downbeat depressing comic where the main character just mopes about feeling sorry for himself. Thankfully, I was wrong and The Li'l Depressed Boy is just a regular dude who likes doing regular things, trying to deal with regular life. It’s hard to really describe why I enjoyed the opening issue so much, as all that happens is that the Li’l Depressed Boy meets a girl and does ordinary stuff like going to gigs (and playing laser quest!). Whatever the reason though, the opening issue left me feeling excited at having discovered a cool new comic, but also confused as to why exactly I had enjoyed this comic so much. Maybe part of the appeal is the fact that writer S. Steven Struble has created story-lines about everyday real-life, rather than fantastical adventures, and therefore many readers will find it easy to relate to. And without doubt another of the reasons why I instantly made a connection with this comic is the cool stylised way in which The Li’l Depressed Boy is depicted. Celebrity Bedlam: It's got celebrities in it and it's bedlam. Lee Kern, the presenter and creator of Celebrity Bedlam. In the words of Lee Kern, "Celebrity Bedlam is the show where we explore the hot topics of the day by playing pranks on fame-hungry celebs and getting them to take part in fake TV shows." 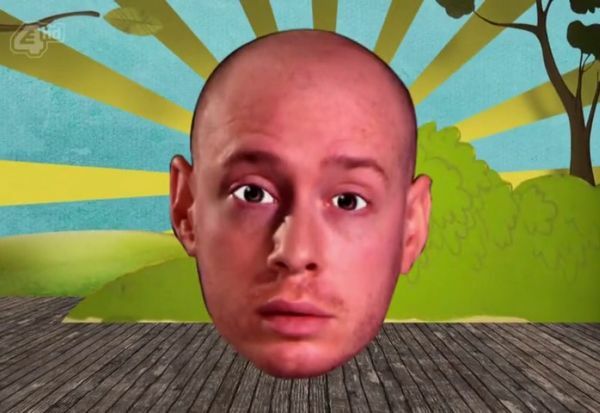 In reality there’s very little exploration of hot topics going on and the focus of the show is pretty much entirely based around ridiculing celebrities through crazy and sometimes bizarre jokes and tricks. 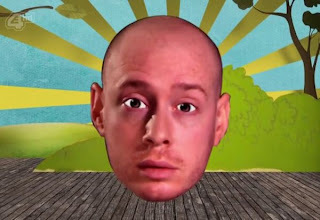 Each episode of Celebrity Bedlam features sketches and pranks of a similar general theme, such as the environment, travel and adventure, or health and lifestyle, but in truth it’s all just a big excuse to have a laugh at celebrities’ expense. Thrilling Tales: An interactive website featuring gorgeous retro inspired illustrations. 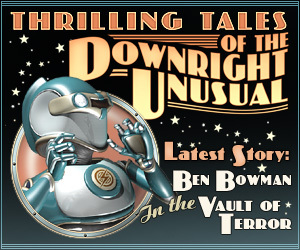 Thrilling Tales of the Downright Unusual is a cool website featuring various pages and gadgets, but as the name suggests the main spotlight of the website is a series of lightly interactive retro sci-fi stories written and illustrated by Bradley W. Schenck. Some of the Thrilling Tales you can read include The Lair Of The Clockwork Book and Trapped In The Tower Of The Brain Thieves and as you can probably guess from the nature of the titles, the stories are set in a sci-fi retro future in the city of Retropolis. The stories are free to read on the internet and are accompanied by gorgeous artwork which captures the retro sci-fi vibe of decades gone by absolutely perfectly. On Worthy Of A Bigger Audience I usually feature music, movies, TV shows, books, etc which in my opinion more people need to know about. However, I'm not really qualified to make an unbiased decision as to whether the book featured this week is worthy of a bigger audience, because I wrote it. "How to Save The World by Charles Fudgemuffin, is funny. Think Monty Python meets Saturday Night Live funny... ...this is an entertaining humorous read. The style of humor is likely one that will not resonate with everyone, so grab a sample from Amazon or Charles' website and find out. If you like the sample, you'll enjoy the rest." From time to time on Worthy Of A Bigger Audience I collect together six tunes of a similar category, such as cover versions or remixes, and today it’s the turn of songs which in my opinion are totally beautiful tunes. 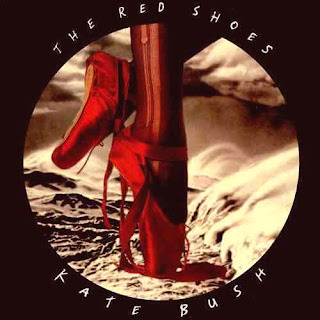 Moments Of Pleasure from Kate Bush's The Red Shoes album. This is quite a big statement to make, but Moments Of Pleasure is one of my all time favourite tunes and in my opinion deserves to be recognised alongside some of Kate’s more well known classics such as Wuthering Heights or Running Up That Hill. It maybe doesn’t have quite the widespread commercial appeal as those two tracks but the maturity and the power of this tune is immense. As well as a hauntingly beautiful piano track, it also features some very personal lyrics from Kate which fit the music perfectly. Find it on Kate’s The Red Shoes album. Helvellyn: A satisfying and rewarding challenge. Two hillwalkers about to start their ascent of Helvellyn. Compared to some of the mountains in the world it almost seems a bit inappropriate to describe Helvellyn as a mountain, given that its peak is only 950 metres high. 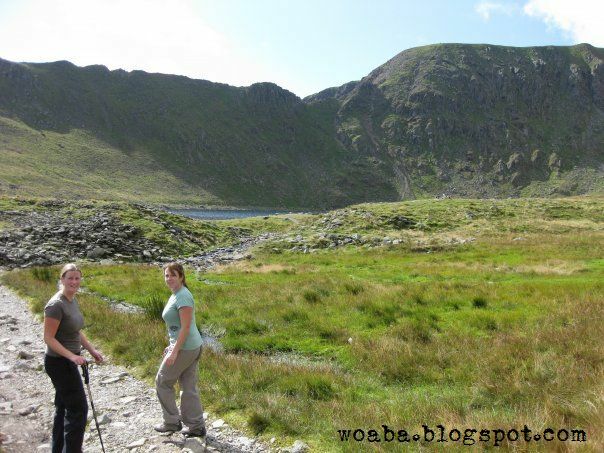 However, don’t let its comparative lack of height fool you, as Helvellyn nevertheless provides a challenging but satisfying ascent for beginners and experienced hillwalkers alike. When I made the trek a few years ago I considered myself reasonably fit and yet before very long at all I still found myself having to stop every fifteen minutes or so to catch my breath, so take plenty fluids and be prepared for a day of tough physical exertion. It’s most definitely worth the effort though, as Helvellyn presents an interesting and varied ascent, and an impressive panoramic view of the Lake District from the peak. The first few hundred metres are pretty much a regular incline until you get to Red Tarn, a pool containing trout and herring which you pass on the way to Striding Edge, but once you reach Red Tarn this is where things start to get interesting as the climb suddenly become a lot more tricky. The Hoax: An engrossing read which gathers momentum as the hoax develops. 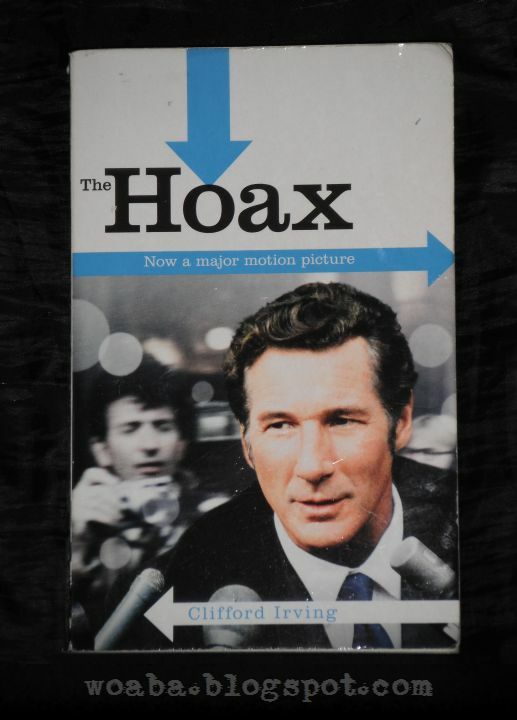 The Hoax tells the true story of Clifford Irving, a writer who one day came up with the ambitious idea of writing the authorised biography of Howard Hughes, an eccentric and reclusive American billionaire. The only problem was that Clifford had never even met Howard and so he and his co-conspirator, Richard Suskind, set about concocting a scam whereby they would write a fictional biography and then attempt to convince McGraw-Hill Publishing House this biography was the real deal. To convince McGraw-Hill, Clifford originally wrote up three fake letters allegedly from Howard Hughes explaining that Hughes wanted Clifford to write his official biography in order to tell the world the truth about some of the media misconceptions about him. From there on in the hoax quickly developed until in very little time at all Clifford Irving and Richard Suskind had been given the go ahead and were researching the information they would need to create their ‘autobiography’. In the very early stages of the hoax it becomes apparent that Clifford is out of his depth and doesn’t really know the ‘dos’ and don’ts’ to follow when you’re trying to trick someone. In fact on a couple of occasions it’s only really a mixture of luck and the fact that McGraw-Hill desperately wanted it to be true that allowed him to avoid getting found out, but as the scam progresses so Clifford’s deceptive side develops and he gradually begins to become more accomplished in the art of illusion. 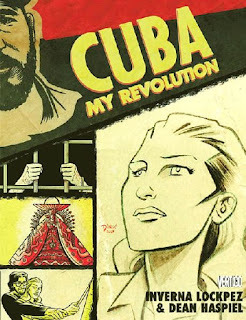 Cuba: My Revolution: A powerful story which takes you to emotional extremes. Cuba: My Revolution is an affecting account of Sonya, a seventeen year old Cuban girl who dreams of becoming an artist, and who is initially a passionate believer in Fidel Castro and his revolution. However, as she begins to witness the brutality, oppressiveness and inequality of Fidel’s rule, she gradually becomes more and more disillusioned with the reality of Fidel Castro’s government. It’s a thought-provoking and affecting story based on actual events in the early life of writer Inverna Lockpez and one which leaves a powerful lasting impression, as well as an appreciation for the freedoms we often take for granted. The story begins with Cuba full of excitement and enthusiasm for the future, with dreams of justice and equality as Fidel Castro marches into Havana to the triumphant sound of canon salutes. The nation is in celebration at the removal of former president and dictator, Fulgencio Batista, and when you learn how Batista was violently oppressive of anyone who dared to disagree with him, resorting to torture and censorship, you can understand why Fidel Castro was initially so popular. Strange Weekend: An atmospheric album filled with ideas. 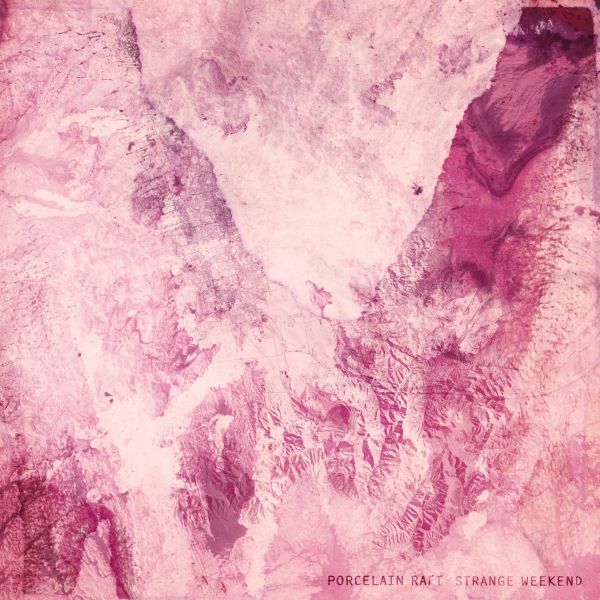 Strange Weekend by Porcelain Raft. There are some albums where the success of the album is down to the pure and simple brilliance of the songs. Then there are other albums where the overall creative soundscape is what gives them their inventive genius and makes them stand out from the crowd. Strange Weekend by Porcelain Raft is an album which has a foot in both camps. It’s without doubt a very creative collection of music and a refreshingly interesting album to listen to, but whereas with some artistic albums the soundscape covers up for the lack of quality songs, this is far from being the case with Strange Weekend. Strip away the cool dreamy production and you’re still left with a collection of excellent songs. Listening to Strange Weekend conjures up words such as floaty, dreamlike or even hypnotic and in fact the names of some of the songs such as Drifting In And Out and Put Me To Sleep suggest that Mauro Remiddi was in that chilled out state of mind when putting lyrics to his musical creations. Glass Tower 2: A simple but fun and well presented iPhone game. but watch out for the blocks rain! The object of Glass Tower 2 is simple. 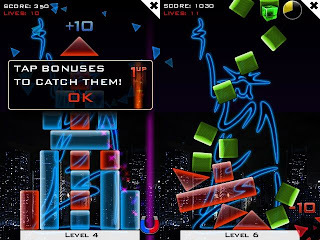 You begin each level with a tower of red and blue glass blocks and have to destroy the blue blocks but save the red blocks. Tapping on a block causes it to shatter and disappear and thus the challenge of the game is to eliminate the blue blocks in such a way that the red blocks aren’t lost over the sides of the supporting platform. Once all blue blocks are removed the level is complete and bonus points are awarded for each red block saved. You start the game with a generous quantity of ten lives and lose a life for each red block which is lost over the edges. During the early more straight forward levels this initial healthy helping of lives seems rather generous but on later levels if things don’t go exactly to plan you can end up with several red blocks falling off the sides and therefore your allowance of ten lives comes in handy. 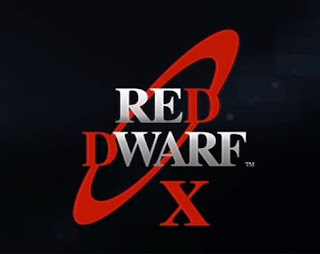 Red Dwarf X: Recaptures the sci-fi comedy vibe of earlier series. Red Dwarf X ... it feels like it's never been away. Red Dwarf has returned and it feels like it’s never been away, as very little has changed. Rimmer is still sitting, and failing, his astronavigation exams, Lister is just as slobby as he ever was, Cat is just as vain and image-obsessed, and Kryten’s mannerisms are all still firmly intact. And of course, most importantly the jokes are just as funny and as silly as ever. In fact right from the opening few notes of the theme tune to the first episode, I immediately started to feel a sense of nostalgia as memories of watching the early Red Dwarf shows as a child started to return. The whole show has a reassuring air of familiarity to it, with the sense of humour pretty much identical to those early days. 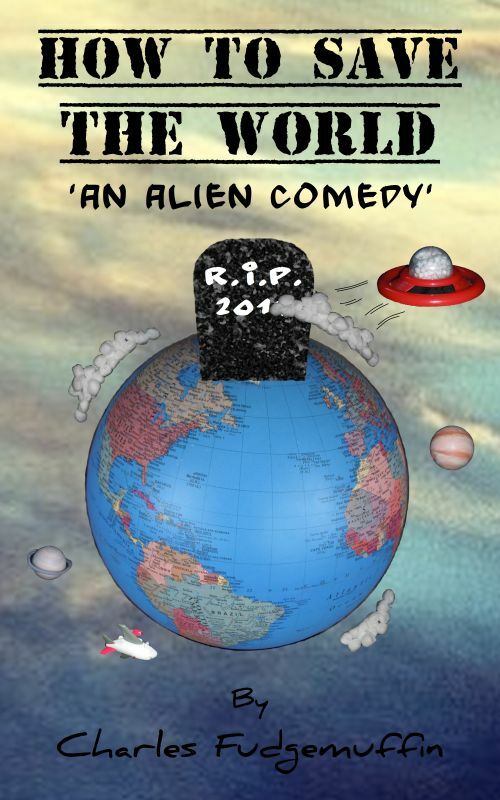 The same sense of manic daftness to things is in attendance, while at the same time as you’d expect Red Dwarf X also features some creatively clever ideas. My favourite B side, cover version and remix featured on Worthy Of A Bigger Audience during 2012.
one of the bonus tracks on U2's One CD single. All six of these tracks are brilliant B sides but the tune I love the most is probably Lady With The Spinning Head which as mentioned in my original post is immediately recognisable as an early version of The Fly. 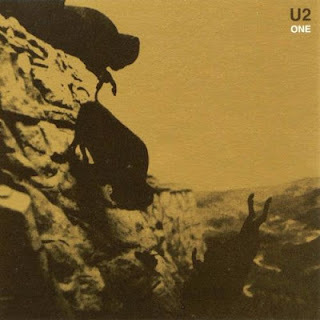 The song has an infectious motivating energy which fills you with enthusiasm when you listen to it and it also provides an interesting insight into the U2 song writing process. My favourite movie, website, travel destination, radio show and graphic novel featured on Worthy Of A Bigger Audience during 2012. Last week for a bit of self-indulgent fun I listed my favourite album, book, iPod app, party and TV show featured on Worthy Of A Bigger Audience during 2012. This week I round things off by covering the movie, website, travel, radio and graphic novel categories. 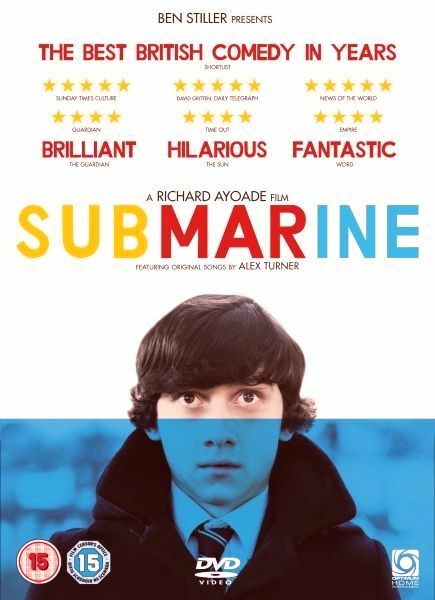 Submarine: A charming coming of age story. The movie category was quite a difficult category to decide because although all of the above movies are great movies which I would recommend checking out, with the exception of Changeling they’re not really mainstream movies with a broad universal appeal to a wide audience. They’re movies which I would guess will have an enthusiastic and appreciative group of fans, rather than massive box office movies which spent weeks at the top of the charts. Ultimately though, I decided to go for Submarine as of all the movies it’s probably the one which may appeal to the widest audience and it was such a nice movie. My favourite album, book, iPod app, party and TV show featured on Worthy Of A Bigger Audience during 2012. Worthy Of A Bigger Audience is only a small blog I run in my spare time as a hobby but I’ve enjoyed sharing my opinions on some of the music, movies, TV shows, etc, which I love and think deserve to be appreciated by a bigger audience. So as 2012 is now at a close, just for a bit of self-indulgent fun I thought this would be a good excuse to revisit the reviews featured over the last few months and pick my favourite choice from each category. This was by far and away the most difficult category to decide and not just because I’ve reviewed more albums than anything else on Worthy Of A Bigger Audience. I absolutely love all of the albums reviewed in the list above so if I was to compile my top fifty favourite albums of all-time then pretty much all of those listed above would be strong contenders for conclusion. 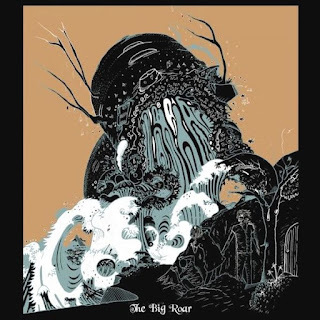 In the end though, I had to pick a favourite and I decided to go for The Big Roar by The Joy Formidable simply because it just keeps getting better and better with every listen.